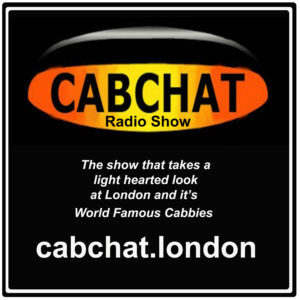 I read with interest in the last edition of United Cabbies News the proposals of T&PH, for allowing PH ranks. Some ten years ago when at the Club I was informed that this was going to be the case in Kingston. I informed the other trade organisations but had no response. I did take it up with the then PCO but my observations fell on deaf ears. I thought that your readers may wish to know what constitutes plying for hire. 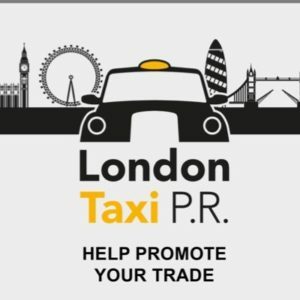 What is plying for hire? That is a question that we all think we can answer, but can you? Since I first became a cab driver almost forty years ago I made it my business to understand the laws that we have to abide by. Further very early in my time as a driver I spent many hours reading all the stated cases involving plying for hire. Because I have done this many consider that I am an expert on the subject. Knowing what I do it has long been my opinion that the relevant laws that govern both taxis and PHV are not fully understood by those, who regulate both trades. This also applies to those who make the laws and the solicitors who advise them. Most will know that PHVs have been licensed since 1976 under the Miscellaneous Provisions Act. It was always said that London should not and did not need mini-cabs to be licensed as London was a special case. What ever was meant by that has always been a mystery. So now let us get on with the question of what constitutes plying for hire. There has never been a definitive explanation for this particular part of a taxi drivers daily work. However, Butterworths legal dictionary states that the phrase is akin to waiting. Never the less we have to look at the many cases that have gone to the High Court to find the true definition. I will take you back to one of the earliest cases of unlawfully plying for hire this took place 140 years ago. The location was Harrow Railway Station in 1871. The case in question is Clarke & Goodge v Stanford. The facts of this case are that a driver a Mr. F G Clarke took up a position on the station forecourt to await being hired. Clarke and the owner of the vehicle obviously felt they were safe as the forecourt of the station was private, but they were wrong. The driver Clarke was convicted of plying for hire and the owner Goodge convicted of owning an unlicensed hackney carriage, which both of them appealed against the conviction. On April 29 1871 the case came before the Court of the Queens Bench in the High Court. Lord Chief Justice Cockburn presided over the case accompanied by Mr Justice Mellor and Mr Justice Lush. The conviction was upheld. The summing up of the Lord Chief Justice is very interesting as you will read. This was what the LCJ had to say about the activities of F G Clarke. The carriage was on the private forecourt of the station and was available for anyone who wished to hire his carriage, it was plying for hire. Although the place is private property the public are entitled to travel by train, and has a right to pass over the premises of the railway to get in or out. Therefore if a man is standing on those premises with his carriage to take persons who are desirous of hiring said carriage, he is plying for hire. So the essence of plying for hire is being on view to the public at the time of hiring. Mr. Justice Mellor stated in support the following. It is said there is no plying for hire as the carriage is admitted on the railway premises under certain regulations, that is it is only to carry persons who come by train. But what is the carriage there for? Though the driver makes no sign he is there to be hired by persons who arrive by train, and there is no restriction as to the persons who, arriving by train shall hire the carriage, therefore it is plying for hire. Swallow Street Arch, minicab rank. The cars are in Whitcomb St under certain regulations are only to carry passengers who make a booking at the ticket office in Leicester Sq. But what is the car there for? Though the driver makes no sign he is there to be hired by persons who apply to the ticket office, and there is no restriction as to the persons who apply to the office to hire the car, therefore it is plying for hire! Further to this as you know there is a taxi rank in Whitcomb St outside the hotel were cabs ply for hire, by waiting to be hired. So what is the difference between the cabs on rank and the cars who wait to be hired on the opposite side of the street? The answer is obviously none at all. So where does this leave PHVs who stand round London, and await to be hired by radio. If they are standing in a public place at the time of the hiring they must be on view to the public. Therefore they are unlawfully plying for hire. During that same year of 1871 there was another case came before the courts. This was Allen V Tonbridge. The case was about a Mr. Tonbridge who owned a carriage and was allowed to stand on the property of Cannon Street railway station. He had permission to do this by the railway company. Tonbridge had placed his carriage a Brougham on the arrivals platform and waited for the train to arrive. The sole purpose of this was so that his carriage could be hired, which it was. However, a Met police inspector Robert Allen saw the carriage hired and Tonbridge was summoned. He was convicted of plying for hire in the magistrates court and consequently appealed against, the conviction. The appeal came before what was then known as, The Court of Common Pleas. This was where three Chief Justices sat in Judgement. Counsel for Tonbridge argued that there was no plying for hire as the station was private property. The senior Chief Justice summed up and delivered this judgement. Mr. Justice Willes made the following judgement. The carriage was in the station and was intentionally exposed so as to be hired by any person. Moreover it was proved that actual application was made to two persons who arrived by train to hire the carriage. And the decision of the magistrates court to convict must stand. As you can see the conviction was based on the fact that the carriage was on view to the public at the appropriate time. Mr Justice Smith in support agreed with the judgement stating the following. I base my judgement on the case in the Queens Bench referring to the case of Clarke and Stanford V Allen. This was his judgement. It was held that if a person exposes his carriage where every body passing by may be willing to hire it, that is plying for hire. I now come to the case of White V Cubitt 1929 LCJ Hewart presiding in the Kings Bench Division of the High Court. This little escapade occurred in the private yard at the side of The Railway Tavern public house at the junction of, Rocks lane and Upper Richmond road. The owner of the vehicle rented the space in the yard from the publican to carry out his business. Two ladies walked into the yard from the street and hired the car to go to Richmond Park Golf Club. The owner of the car a Mr. Charles Cubitt was seen by Sgt White of the Met police accepting the hiring, and Cubitt was summoned to appear in the magistrates Court, where he was convicted. He appealed against the conviction and the case came before the High Court. The argument put forward by his defence counsel was that he did not ply for hire in a public place as, the yard was private property. Counsel further laboured the point that the public did not have access to the yard. However the Lord Chief Justice stated the following facts. Although the car was on private property and the public did not have access to the yard, the vehicle was plying for hire. Again his comments in summing up are very interesting for the following reasons. The Lord Chief Justice made the following Statement. The car may have been on private property but it had been placed in such a way in the yard and with the gates to the yard wide open, it was on full view to the public. And the conviction in the lower court was upheld. Again I have to say this puts PHVs in a position of breaking the laws of plying for hire. This for the simple fact they are on view to the public at all material times. Lets us now come forward a few years to 1946 this is the case of Gilbert V McKay. McKay had an office in Rupert St. with a sign over the shop window showing that cars were for hire. Several cars belonging to McKay were standing in the street outside of the office. Several people were seen to enter the office for the purpose of paying for the hire of anyone of the cars, in which they were driven away. 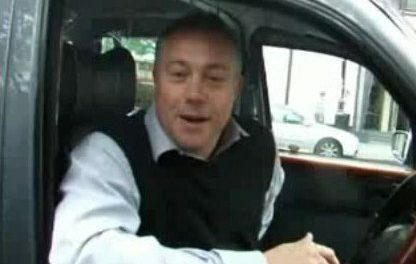 McKay was charged with being the owner of unlicensed hackney carriages. He was convicted and fined by the Magistrates court and lodged an appeal, the appeal was dismissed. The Lord Chief Justice Lord Goddard had the following to say. In my opinion even if the cars had been standing in a private yard and could not be seen by the public, there could still have been a plying for hire if they had been appropriated for immediate hiring. The important thing here is the reference to a private yard and not on view to the public at the time of hiring. Even more important is his reference to an immediate hiring. This is what was happening in Leicester Sq. As you can see the essence of plying for hire is being on view to the public. Is this the position of the PHV or not? We now come forward in time to 1962 to the case of Rose V Welbeck Welbeck motors being the first minicabs to hit the streets in London. This was brought to court by a London cab driver, Emanuel Rose. The car was standing in the street at Stratford Broadway obviously waiting to be hired. The police were summoned to the scene by Mr. Rose and the upshot was that the driver of the car was summoned to appear in court, for plying for hire. When the case was heard the magistrates court dismissed the case so an appeal against the decision was entered. The case came before LCJ Parker in the Queens Bench division of the High Court. The car had Welbeck motors emblazoned on the side of the vehicle and a telephone number. It had been argued by counsel for Welbeck motors that the advertising on and the appearance of the car were incapable of conveying to the public an invitation that the vehicle was for hire. The following is the judgement of LCJ Parker. It is perfectly true that the inscriptions were advertising Welbeck motors and if you ring Welbeck 4440 you can have one of the vehicles that they hire, known as a minicab. He went on to say that the inscription was saying more. What it was saying was the following. 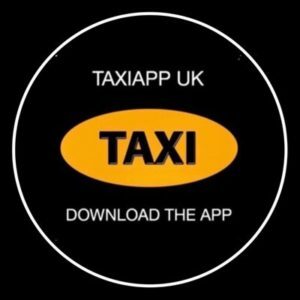 I am one of those minicabs and I am for hire, I think in that connection that the reference to minicabs is important as it is saying I am one of those vehicles and I am for hire. And referred the case back to the lower court where Welbeck motors were convicted for plying for hire. Again the conviction was due to the fact the vehicle was on view to the public. Just a few days later the case of Vincent V Newman came before LCJ Parker the circumstances were similar. The vehicle had been stood in Addison Crescent were it was observed by a police officer and was summoned to appear before the Magistrates court, for unlawfully plying for hire. The magistrates dismissed the case and the Met police appealed. The appeal was upheld and referred back to the Magistrates, where the driver was convicted. Once again due to the fact that the car was standing in a public place. I now come to the most recent case which occurred in Eastbourne in 2000. This case came before Lord Justice Pill and Mr. Justice Bell. This was in the Queens Bench division of the High Court. The case had been brought to court by Eastbourne Borough Council against two PHV drivers. They had been found on the rank of the forecourt of Eastbourne station. And were summoned under sect.37 of the Town Police Clauses Act of 1847 of plying for hire without a licence. The magistrates dismissed the case on the grounds that the forecourt was not a public place. Lord Justice Pill quoted the case of White V Cubitt where a vehicle parked in a private yard was plying for hire, as it could be seen from the street. He went on to say applying the principle in White V Cubbit since a vehicle parked in the station forecourt was likely to attract custom from members of the public using the adjoining street, the defendants were plying for hire. Again we have the situation of being on view to the public. This now brings me to the situation in Leicester square where the theatre ticket booking office has been licensed as a Licensed PHV Operator centre. Not only has it been licensed it advertises the following by a revolving neon sign, the following message. Need a safe journey home fully licensed private hire minicab service available here. That in itself is unlawful as it is soliciting business and is tantamount to touting, under sect 167 of the Criminal Justice and Public order Act 1994. The cars are parked up like a taxi rank in Whitcomb street and are waiting to be hired, and are on full view to the public. A person goes to the booking office hires a car and is taken by a marshal to the waiting car. This is a repeat of Gilbert V McKay 1946 which was judged by LCJ Goddard to be plying for hire. Now Westminster City councils director of transportation Martin Low states this is not plying for hire. Well I have news for Mr. Low he is 100% wrong. For his enlightenment and for the PCO I will tell you why. Sect 35 of the London hackney carriage act of 1831 states the following. 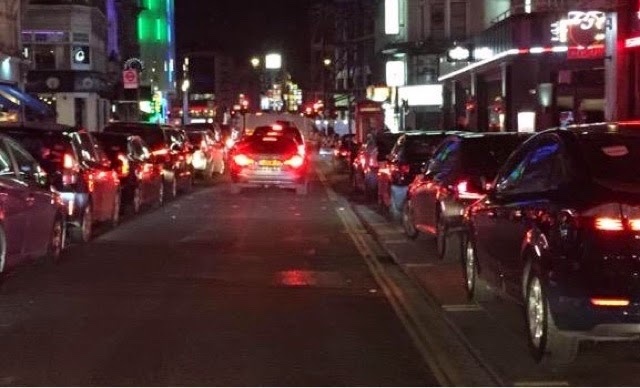 Every hackney carriage which shall be found standing in any street or place, unless actually hired, shall be deemed to be plying for hire, this is what the cars were doing in Whitcomb St. The powers that be would of course argue that the cars are not hackney carriages. Well the 1907 London Cab and Stage Carriage Act sect. (6) is laid out like this. It Is hereby declared that for the purposes of any Act relating to hackney carriages, stage carriages, metropolitan stage carriages, or cabs, in London, the expressions “ hackney carriage,” “stage carriage” “metropolitan stage carriage,” “or Cab,” shall include any such vehicle, whether drawn or propelled by animal or mechanical power. As you will have observed a hackney carriage is a vehicle that is not necessarily a taxi, although a taxi is a form of hackney carriage. What this means is that any vehicle that carries passengers is a hackney carriage. As you all know a hackney carriage to be able to carry passengers for hire, has to be licensed under sect 6 of the Metropolitan Public Carriage Act 1869. The offence that was being perpetrated here is that we had a situation where unlicensed hackney carriages were plying for hire. The cars in Whitcomb St may have had a PHV licence, however, they were in fact unlicensed hackney carriages. Therefore as the vehicles were unlicensed all persons who entered one of these cars were a passenger in an uninsured vehicle. And this with the approval of the police and TFL/ PCO. Sect 4 of the 1831 Act states that every carriage with two or more wheels which shall be used for the purpose of standing or plying for hire in any street road or public street or road at any place within 5 miles now 12, from the General Post Office in the City of London, whatever may be the form or construction of such carriage, or the number of persons which it shall be calculated to convey, shall be deemed and taken to be a “ Hackney Carriage” within the meaning of this act. It seems quite obvious that a pedicab is a form of hackney carriage as it has 3 wheels, and is propelled by mechanical power, that being the pedals. Further as they wait to be hired they are plying for hire. The Pedicab comes within the scope and definition of a hackney carriage. Any hackney carriage that takes passengers for hire has to comply with the Metropolitan Conditions of fitness (MCF) This is covered by the 1934 London Cab Order, Statutory Instrument 1634. Therefore as Pedicabs do not comply with the MCF they cannot wait to be hired. As I have said earlier the essence of plying for hire is being on view to the public at the time of hiring. 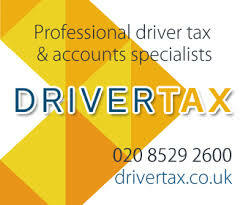 Further as has been stated in many cases if the vehicle is waiting to be hired, it is plying for hire. So as you will observe the brain dead at TFL/ T&PH do not know what they are doing, or do they? For hear we have a group of people who do not know the laws that they are charged with enforcing. The phrase, “Not Fit For Purpose” comes to mind. During that same year of 1871 there was another case came before the courts. This was Allen V Tonbridge. The case was about a Mr. Tonbridge who owned a carriage and was allowed to stand on the property of Cannon Street railway station. He had permission to do this by the railway company. Tonbridge had placed his carriage a Brougham on the arrivals platform and waited for the train to arrive. The sole purpose of this was so that his carriage could be hired, which it was. However, a Met police inspector Robert Allen saw the carriage hired and Tonbridge was summoned. He was convicted of plying for hire in the magistrates court and consequently appealed against, the conviction. The argument put forward by his defence counsel was that he did not ply for hire in a public place as, the yard was private property. Counsel further laboured the point that the public did not have access to the yard. However the Lord Chief Justice stated the following facts. Although the car was on private property and the public did not have access to the yard, the vehicle was plying for hire. Again his comments in summing up are very interesting for the following reasons. The Lord Chief Justice made the following Statement. “The car may have been on private property but it had been placed in such a way in the yard and with the gates to the yard wide open, it was on full view to the public”. And the conviction in the lower court was upheld. 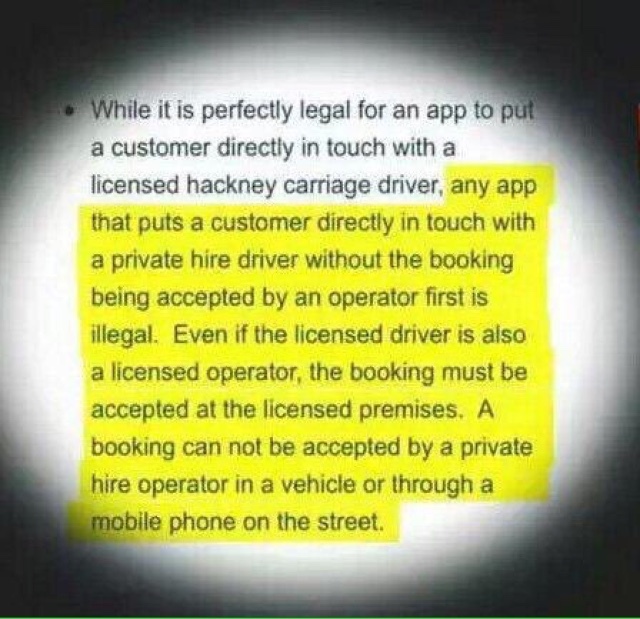 Again I have to say this puts PHVs in a position of breaking the laws of plying for hire. This for the simple fact they are on view to the public at all material times. Let us now come forward a few years to 1946 this is the case of Gilbert V McKay. for immediate hiring”. The important thing here is the reference to a private yard and not on view to the public at the time of hiring. Even more important is his reference to an immediate hiring.